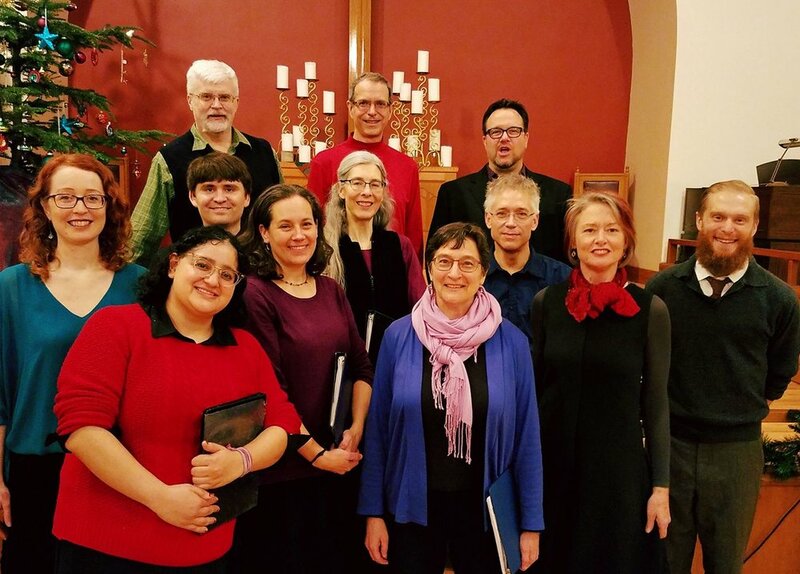 The Healing Voices Choir is back and better than ever for their sixth season! We heal ourselves and one another by singing in a group and creating community, while sharing our songs with the community at large. We find joy in creating a unified sound while also honoring each individual's vocal journey. New voices and returning members are invited to join this lively, joyous, and inclusive choir. A public performance is given at the conclusion of each 15 week term. Other optional outreach performances take place at locations such as Hospice Centers, Hospitals and convalescent homes. We will be accepting new members soon (typically fall, winter, spring) - we have a lot of fun and would love have you! Join us this term! Rehearsals start September 12th and there will be an end of term concert on December 16th, as well as one or more optional outreach concerts at senior care facilities, and a fun caroling event. The Healing Voices Choir is a non-audition choir and all are welcome, though experience reading music or with other choirs will be helpful. If in doubt, we welcome people attending the first rehearsal to try it out. Prerequisite: None. However, beginning choir singers are encouraged to sign-up for the Empowered Voices Choir when it is offered.